5.99 GBP ~ 496.51 руб. 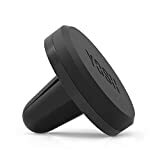 YOSH Car Phone Holder Magnetic Air Vent Phone Holder for Car Cradle Mount for Cellphones for iPhone XR XS Max X 8 7 6s Plus Moto G6 Samsung S9 S8 Note 8 J5 Huawei P20 Pro Xperia Blackview Nokia etc. 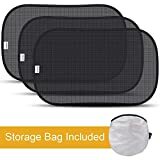 7.99 GBP ~ 662.29 руб. 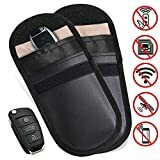 2 X Car Key Signal Blocker Case, Faraday Bag for Car Keys Keyless Entry Fob Guard Signal Blocking Pouch Bag, keyless car key signal blocker pouch, Cell Phone Protection Security WIFI / NFC Blocker 8.99 GBP ~ 745.18 руб. 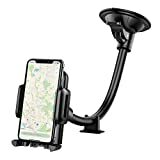 Car Phone Mount, Mpow Windscreen Car Phone Holder Grip Flex Universal Windshield Car Cradle with Extra Dashboard Base Long Arm Holder for iPhone Xs Max/Xs/Xr/X/8/7/6s Plus, Samsung S10/S9 Note LG,etc 6.99 GBP ~ 579.40 руб. 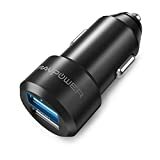 Car Charger RAVPower USB Car Adapter Chargers with 12V 24W 4.8A 2-port for iPhone XS/XR/XS Max, Galaxy S9, LG, Nexus, HTC with iSmart 2.0 Tech – Black 15.99 GBP ~ 1 325.41 руб. 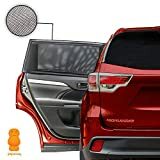 JELLYBABABABY Car Window Shades - Blocks UV Rays - Covers Rear Side Windows - Protects Baby Kids and Pets - Premium Quality Car Sun Shades - Universal Easy Fit - Pack of 2. Вы экономите 13.00 GBP ~ 1 077.57 руб. Вы экономите 10.50 GBP ~ 870.34 руб. 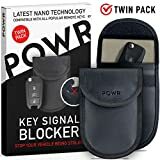 Вы экономите 7.00 GBP ~ 580.23 руб. 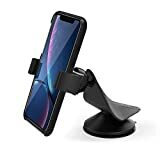 Вы экономите 6.90 GBP ~ 571.94 руб.